Not to be confused with Snapchat’s ongoing efforts to raise another $500 million, the social network is reportedly close to getting $200 million from Alibaba. 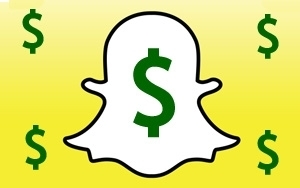 The deal, sources tell Bloomberg Businessweek, would value Snapchat at around $15 billion. That’s considerably less than the $19 billion valuation attached to the company’s separate $500 million financing round. Snapchat declined to comment on any ongoing fundraising efforts, on Thursday. Having recently hired Imran Khan as its first chief strategy officer, an Alibaba investment could be seen as a fait accompli for Snapchat. Khan previously served as head of Internet banking at Credit Suisse, where he led the Chinese ecommerce giant’s blockbuster IPO, last year. Regardless of past connections, industry insiders say Snapchat is a sound investment by current standards. “Twitter's market cap is $30 billion, and they are growing slower and have 300 million users versus Snapchat’s estimated 200 million,” Simon Mansell, general manager of Paid & Services at social media management firm Sprinklr, recently told Social Media & Marketing Daily. Laura O’Shaughnessy, cofounder and CEO of social advertising and analytics firm SocialCode, recently estimated Snapchat’s usership to be closer to 100 million, though she said it was no less attractive. “In terms of valuation, the sky is the limit if they're able to deliver ad performance at scale," O’Shaughnessy said. It’s hard keeping up all the money pouring into Snapchat. Late last year, the company quietly raised nearly $500 million from some 23 investors. To date, Snapchat has officially raised north of $160 million from Lightspeed Venture Partners, and Benchmark, among other investors. From straightforward advertising to branded content, business opportunities remain highly experimental on Snapchat. The vanishing-message service only recently introduced ads to its platform, which also disappear after users view them or within 24 hours.